Living in the Bloor West and High Park area we are surrounded by all kinds of wildlife. Occasionally our curious dogs can get a bit too close to some of our wild skunk friends resulting in a very unpleasant spray. Preventing these encounters is always better then treating them. We recommend keeping your dogs on a leash under supervision at all times. 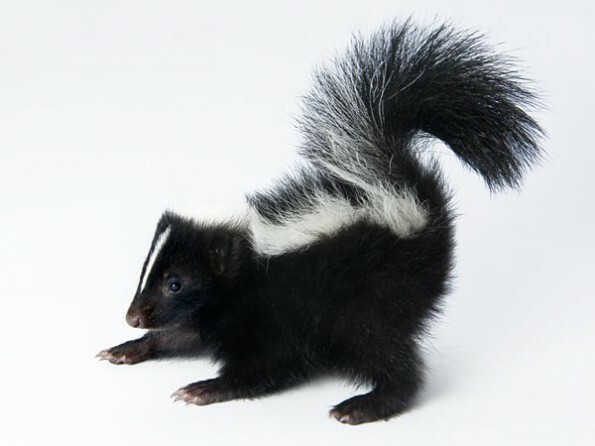 However, if your dog is sprayed by a skunk, quick treatment of the smell is imperative. We have found this recipe to be the most effective in the removal of that horrid skunk smell. 1. In a large bowl mix the above ingredients as close to application as possible. 2. Pour the solution over your dog, lather and leave for 5 minutes before rinsing. Be careful not to get the solution in your pet’s eyes or mouth. 3. Can follow with regular dog shampoo. If your dog is sprayed directly in the face they may need to be seen by their veterinarian. Watch for red, swollen eyes and vomiting. Otherwise, a bath at home with this recipe should do the trick.